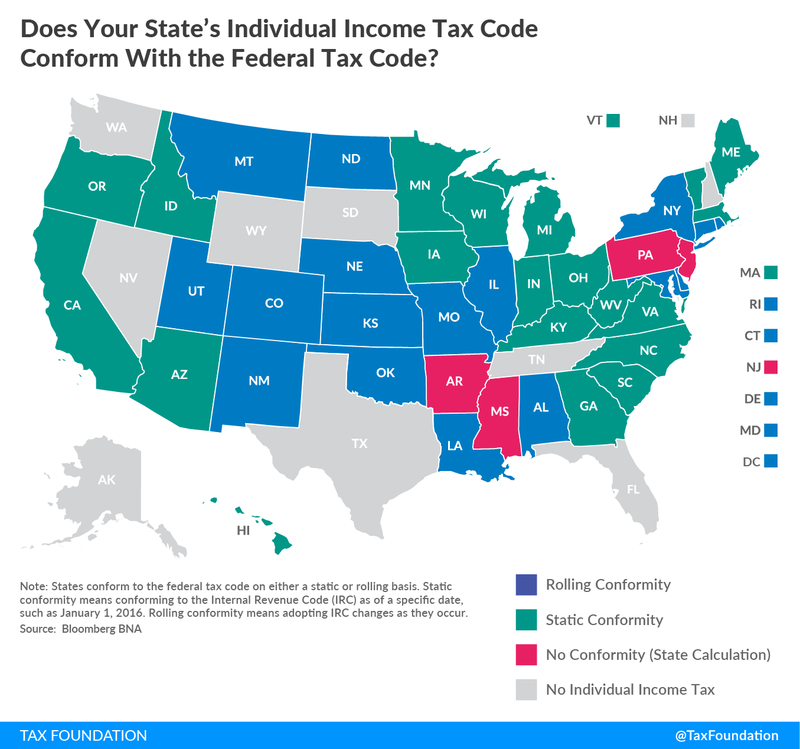 Does Your State’s Individual Tax Code Conform with the Federal Code? As the federal government continues to debate tax reform, states, and many taxpayers, are asking an important question: How is my state’s tax code impacted? The exact impacts won’t be known until the federal bill is finalized, but states have a number of things to monitor, as my colleague, Joseph Bishop-Henchman, wrote earlier this month. To understand how federal tax reform would change state tax codes and revenues, we need to explore the idea of conformity. 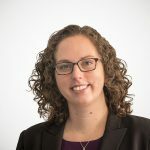 For reasons of administrative simplicity, states frequently seek to conform many, though rarely all, elements of their tax codes to the federal tax code. This harmonization of definitions and policies reduces compliance costs for individuals and businesses with liability in multiple states and limits the potential for double taxation of income. No state conforms to the federal code in all respects, and not all provisions of the federal code make for good tax policy, but greater conformity substantially reduces tax complexity and has significant value. States conform on either a static or rolling basis. Static conformity means conforming to the Internal Revenue Code (IRC) as of a specific date, such as January 1, 2016. Rolling conformity means adopting IRC changes as they occur. The states are roughly split between these two types of conformity. Twenty states have rolling conformity, while 18 states have static conformity. (The remaining states do not tax individual income or use their own calculations of income.) But among the states with static conformity, the dates of conformity vary widely. Massachusetts conformed to the IRC as of 2005, while many other states conformed as of 2016. The first large area of conformity is federal definitions of individual income. Twenty-seven states begin with federal adjusted gross income (AGI) as their income tax base. Six states use federal taxable income and three states use federal gross income as their starting point. Even if a state uses federal AGI as its starting calculation, there can be adjustments (e.g., pension and retirement income, Social Security benefits, and federal deductibility) which diverge from the federal treatment of income. Twelve states conform to the federal standard deduction, while 10 use the federal personal exemption. Download a full list here. How states define their tax bases would matter a great deal for their revenue impacts under federal tax reform. For instance, a state that uses federal taxable income or AGI as its starting point would likely see an increase in revenue due to the elimination of many federal itemized deductions. Under the House and the Senate tax plans, the federal tax base (the definition of taxable income) would become broader, leading to an expansion of the state tax base. The federal changes include rate cuts to offset the broader bases, but states set their tax rates independently. Absent state-level changes, states would have a much larger tax base without correspondingly lower rates, leading to higher state-level revenue.